Esther Muller is the quintessential entrepreneur with over thirty years expertise in the real estate market and responsible for over 1 billion in sales. She is an Owner, Broker, Investor, Author and Coach. Her incisive thoughts and perceptive ideas have distinguished her as an authority and often quoted spokesperson on industry issues. Colleagues and clients describe her as high energy, naturally charismatic, genuine, transparent, trustworthy, and result oriented. They further describe her as having high integrity, the ability to connect all her resources, and a passion for helping her clients and her community. Ms. Muller’s business vision is to advise her clients on how to achieve their mission to find a perfect home in a safe and solid investment. She serves on several Boards of Directors, both domestically and internationally. From Fifth Avenue, anchored by The Plaza, to Columbus Circle's incredible Time Warner Center, let me be your guide and advisor. Esther is a graduate of Brooklyn College and a Certified Master Coach (New York University). 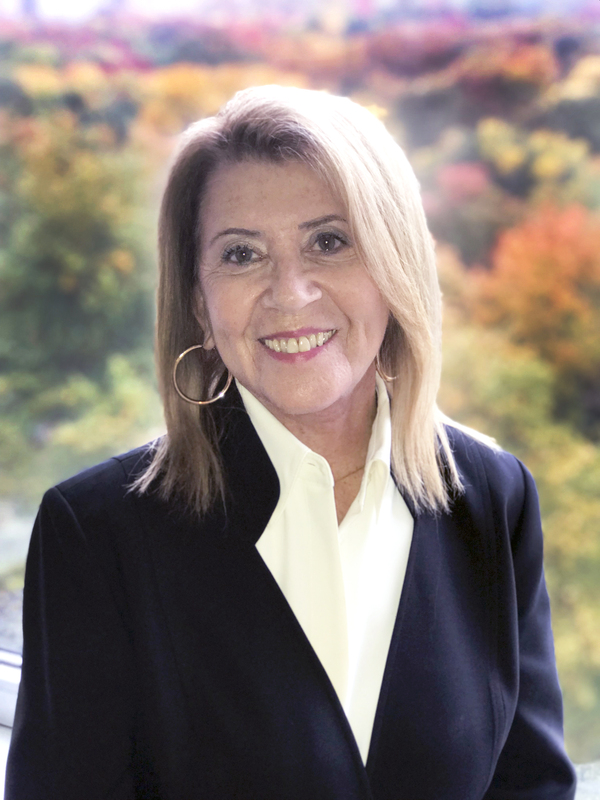 She was an acclaimed Professor at the Graduate School of Business and Director of the Entrepreneurial Real Estate Program at Touro College. As co-founder of the Academy for Continuing Education (ACE), she has graduated over 6,000 agents in the past 24 years. As the President of the Academy for Coaching and Training (ACT), her expert guidance has resulted in the success of many of the top “SuperStar” brokers. Esther is THE coach to the STARS. She is also the author of the books “Tips from the Tops,” and “Success is the Destination,” and co-writer of monthly articles on various topics relating to professional development which appear in real estate publications. 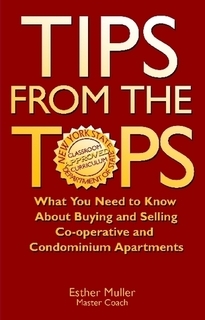 What you need to know about buying and selling Co-operative and Condominium Apartments. 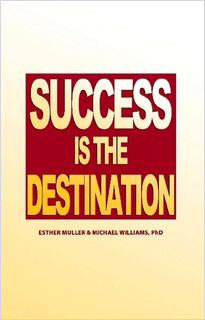 The author, Esther Muller, is both an Academician and Practitioner. Her incisive thoughts and perceptive ideas have distinguished her as an authority and often quoted spokesperson.